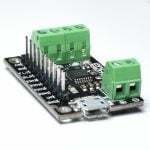 The Edwin Robotics DRV8833 breakout board is capable of controlling up to 2 DC motors or one bi/uni-polar stepper motor a max current of 1.2A. 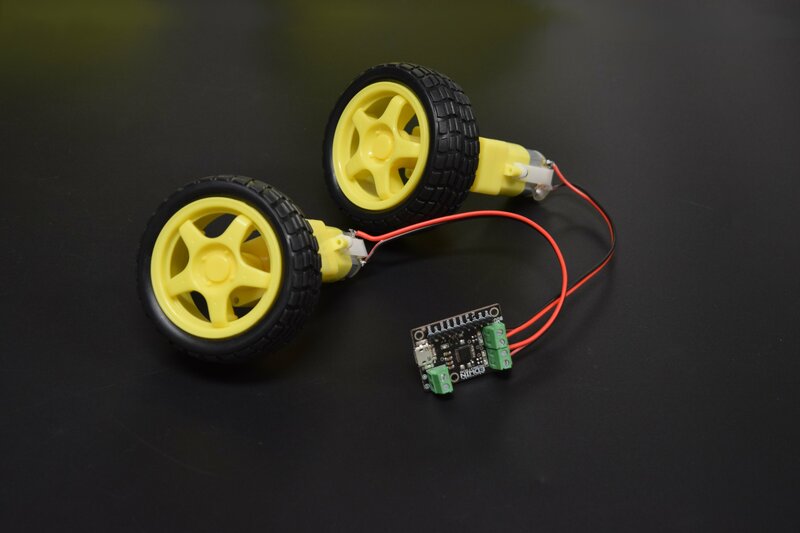 The DRV8833 comes with 2 full H-bridges which give bi-directional control of your DC motors. It is similar to the L9110S in its voltage range ( 2.7V – 10.8V), but carrying 50% more oomph. 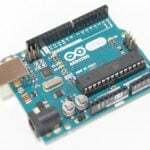 This makes it ideal for projects where the motors will be run from a 9V battery. Vm – This is the voltage supply for the motors. Keep this voltage between 2.7V and 10.8V. This Supply Pin is not Reverse polarity protected, so care must be taken while connecting jumper wires to it. Power Screw Terminal: The Power Screw terminal is labelled with + and -, connect your power supply according to label, this terminal is reverse polarity protected. 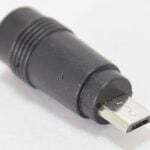 USB Power In: You can power the board with micro USB connector provided; this is reverse polarity protected as well. AIN1, AIN2 – Two inputs to the Motor A H-bridges. Speed control supported using PWM. BIN1, BIN2 – Two inputs to the Motor B H-bridges. 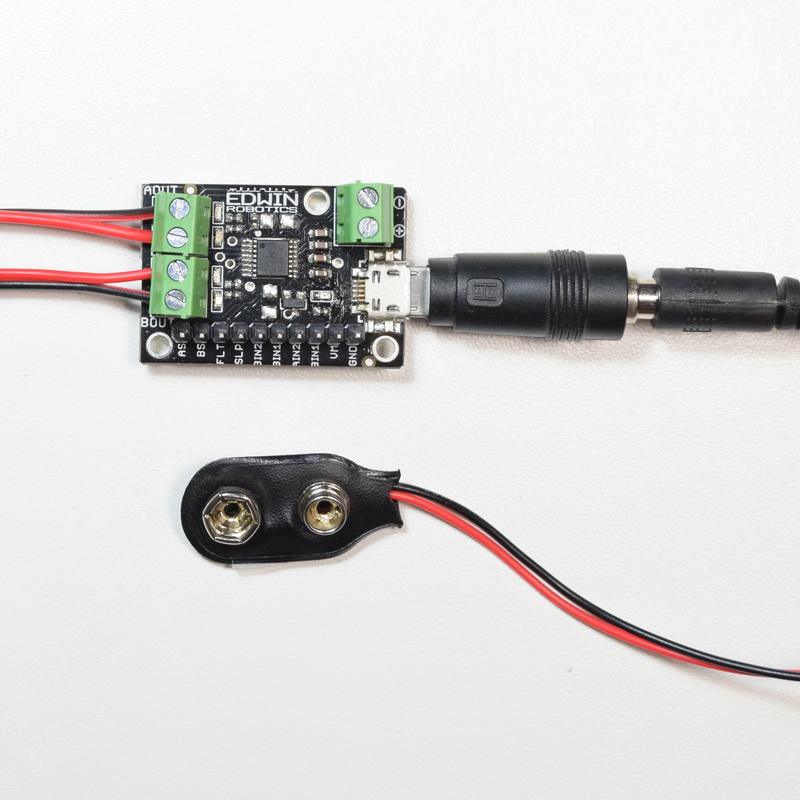 Speed control supported using PWM. FLT -This is the Fault output, which will drive low if there’s a thermal shutdown or overcurrent. 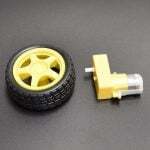 SLP – sleep pin for quickly disabling the driver. On Board 10K pullup resistor provided to keep the driver enabled. 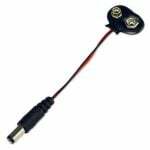 The control inputs are pulled low internally, effectively disabling the motor driver outputs by default. See the truth tables in the DRV8833 datasheet for more information on how the inputs affect the driver outputs. The FAULT pin is an open-drain output that is driven low by the chip whenever an over-current, over-temperature-or under-voltage condition occurs. 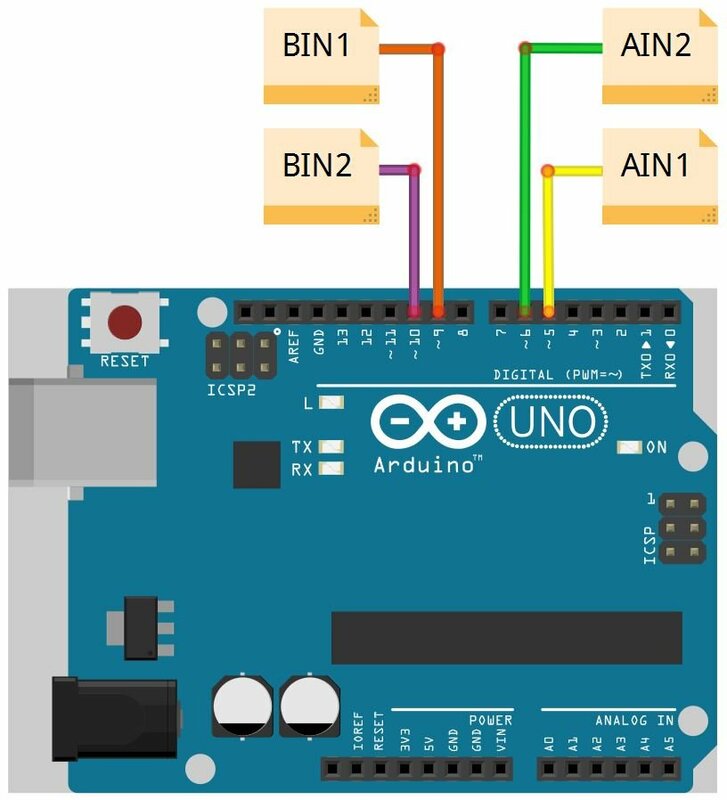 Otherwise, it remains in a floating state, so you will need to connect an external pull-up resistor (or use a micro-controller input with its built-in pull-up enabled) if you want to monitor fault conditions on the driver. Note: There is a misprint on Silkscreen, BIN1 is printed in place of AIN1, refer the above image for correct pinouts description. 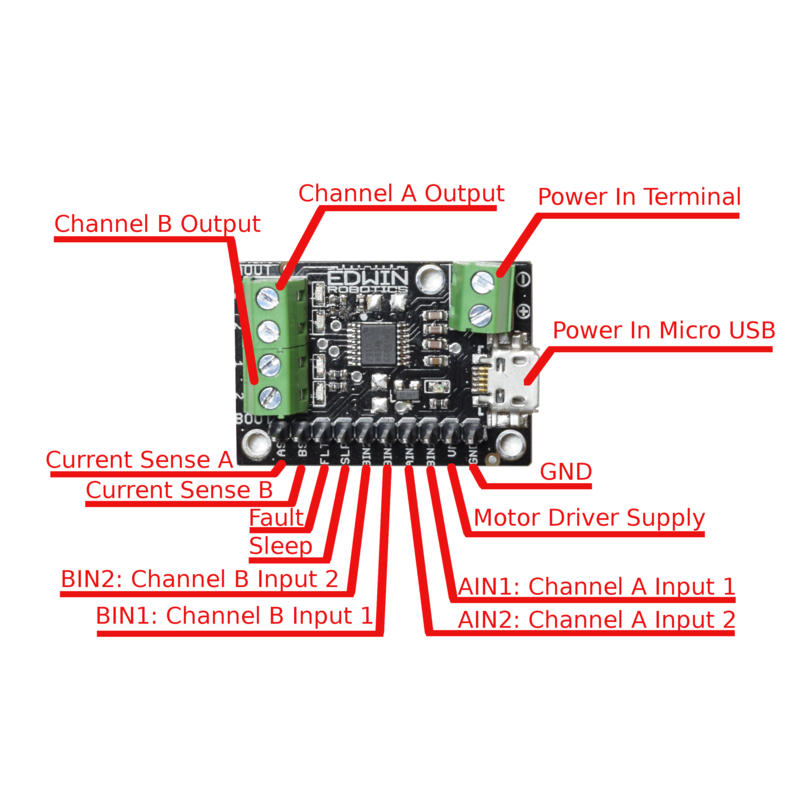 As/ Bs: The DRV8833 can perform current limiting for each motor H-bridge by connecting a resistor between As/Bs and ground to set the Motor A/ Motor B Limit. 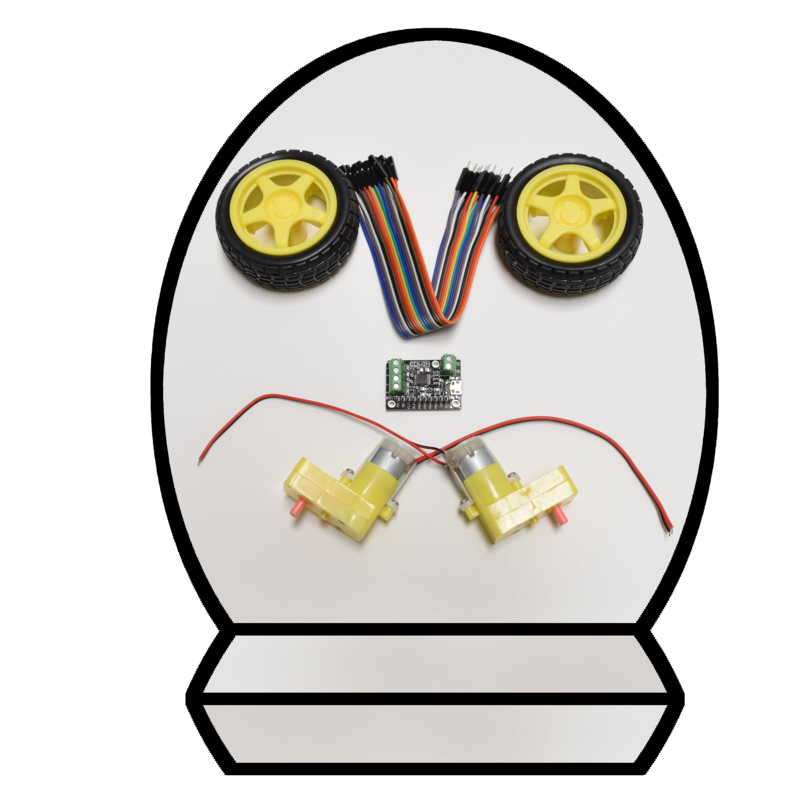 Current Limiting and Status LED’s Jumper Pads. 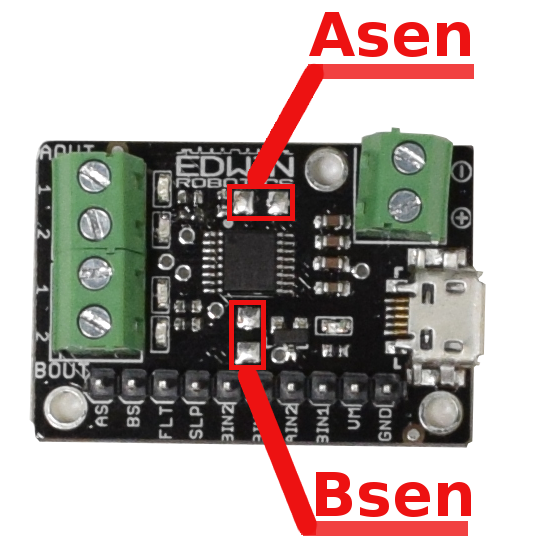 The Current limiting can be enabled by cutting out the solder joint between the jumper Pads for Asen and Bsen. Once the jumper pads are modified you can either solder SMD resistor (1206 Size) on board or you can use the AS/BS headers pin to make connection with through hole resistors. You can also totally disable current limiting whenever needed by soldering the two jumpers on the back.